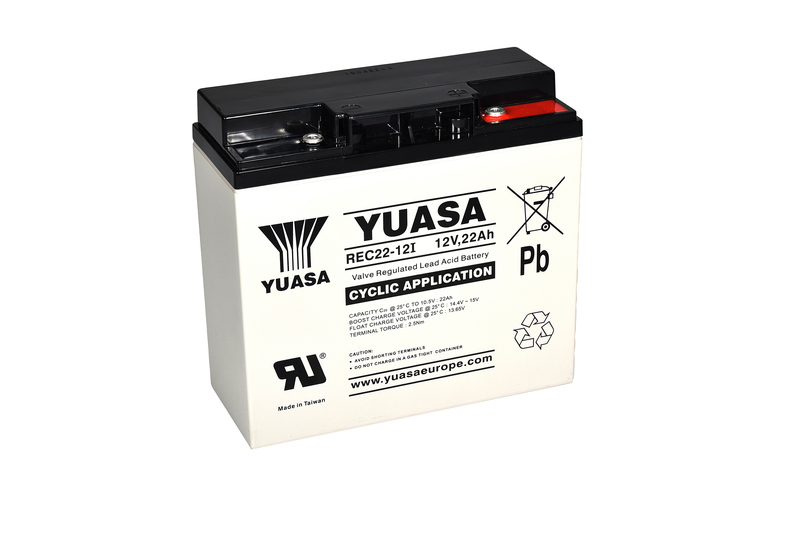 Yuasa VRLA REC22-12 12V 22.0Ah Battery is one of best in the market place and has the reputation for reliability and performance and long user life. The battery has been specifically designed for deep discharge providing excellent performance and long term reliability. The battery's heavy duty calcium grids provide for a superior cyclic life compared to a standard VRLA battery. Yuasa VRLA REC22-12 12V 22.0Ah Battery ensures operation in any orientation except for inverted.